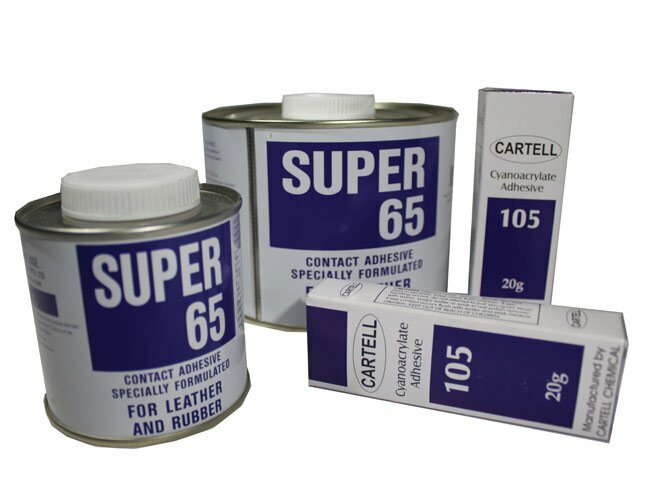 Contact Adhesive: specially formulated for leather and rubber. 250 ml, 500 ml, 1 Litre, 5 Litre tins. Superglue: Cyanoacrylate quick-curing adhesive formulated for rubber and various other types of material 20g Bottles. Silicone spray-release lubricant for mould release is anti-spatter, anti-stick. Also used to add luster to vinyl and rubber. This item has 519 views.